[:en]Dukan Lake in Sulaymaniyah Governorate is one of the most popular picnick spots in the Kurdistan Region. The cost to the environment however is high: picnickers leave behind rubbish,a lot of which goes directly into the lake. Others use the lake as a car washing spot, while water is being pumped to houses on the banks of the lake. It is clear that the current use of Lake Dukan is not sustainable. 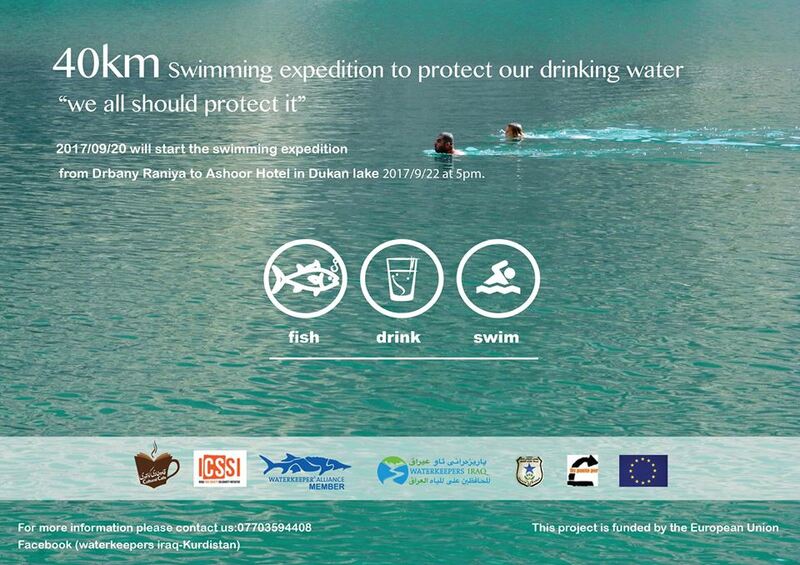 As part of the project ‘Mesopotamian Youth’, a coalition of of civil society groups lead by Waterkeepers Iraq working on the protection of water resources in Iraq organized a swimming expedition in order to draw support and visibility for protection and better development of Lake Dukan. This activity was a collaboration between activists of the working group, local students, volunteers and Dukan forest police; it is part of the group’s ‘Floating Waters’ campaign to increase dialogue and cooperation between CSOs, communities and authorities in order to find the best solutions to protect the lake from pollution. Prior to the activity, the working group met with the Mayor of Dukan and the forest police to discuss local issues of water pollution and protection of the lake. The expedition “to protect our drinking water” was spread across 3 days and 2 nights, from 20-22 September 2017. 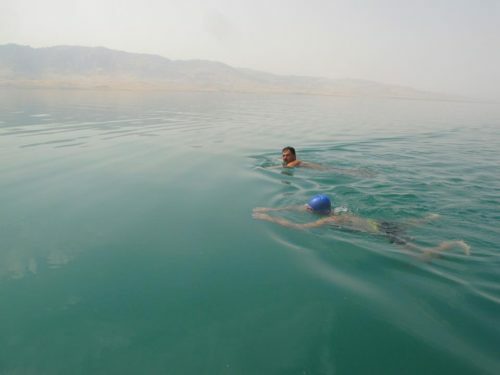 A group of four swam 40 kilometers from Raniya (north side of Lake Dukan) to the south side of the lake. The last two kilometers an additional 15 people joined, including working group members, students and volunteers. Few people have crossed Dukan lake from one side to another swimming, and when the swimmers arrived at the finish on the final day, local media was present and following the event, the water rights group coordinator Nabil Musa was interviewed on local television channels. 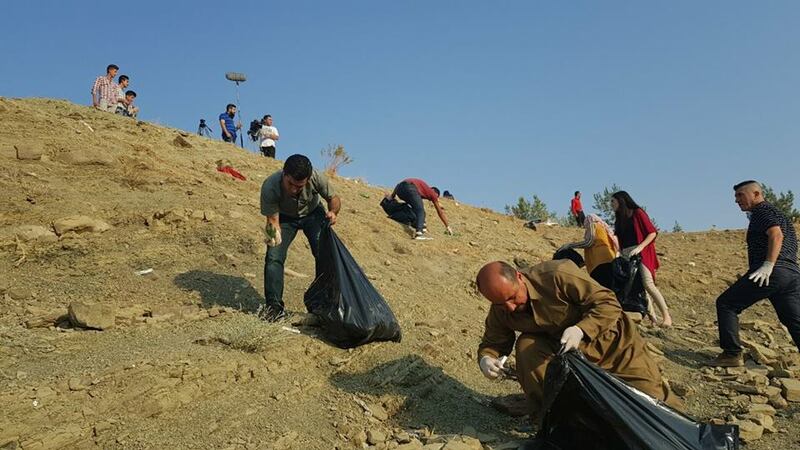 Members of the working group and earth network wrapped up the expedition with a cleanup activity during which they cleaned the area around the lake of rubbish (garbage dumping remains a huge issue in the Kurdistan Region).